More talk and more action which is inaction. The story of wrongdoing lays dormant for months at a time and then some little "subpoena" pops up and headlines are again made. These headlines, like all the others, will fade away, lost in the forever chronicles of cyberspace. Digital entries on some far away hard drive that future generations may accidentally come across while Googleyahooing "what caused the demise of America and the Republic for which it stood". We have all heard the "testimony" given by Blankfein and his merry band of banksters under oath in Congress. Perjury and BS-itry at its best by a group of elites whose self criminalized wealth lets them believe that they are above all. If they could lie and evade questions in Congress then why would anyone believe that they will abide by "the subpoena". What will they produce and what power exists to insure that the subpoena produces all the documents relevant to the investigation? While Americans continue to fail in this still failed economy, continue to lose their homes by the millions, continue to be unemployed, these sharks of Wall Street enjoy the spoils of their ill begotten wealth derived from those once proud and productive Americans (you and me) they continue to ravage. Now the daily news links. GS Editor's Note: Ocwen needs to be looked at very closely as well. They were once big in sub prime and now big in servicing. another story of how to succeed in banking without really working. GS Editor's Note: Isn't that the same Fitch that falsely rated all those Mortgage Backed Securities (MBS) AAA so that Goldman and all the rest could peddle that junk to the whole world, crash economies and cause millions of foreclosures to innocent people? GS Editor's Note: Sticks and stones will break my bones but subpoena's will never hurt me. What good is a subpoena? There exists enough hard evidence - I believe - to bring charges against the company and many of its' executives. But, alas, that does not happen. Only the sacrificial lambs are prosecuted and they are hand picked, i believe, by the top ranked masterminds. Not a long term situation. As so many times before, they rebounded. The market in general is down so I don't believe GS is down because of a "subpoena". 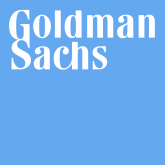 June 2 (Bloomberg) -- John Coffee, a Columbia University law professor, talks about the debate over criminally indicting Goldman Sachs Group Inc.
GS Editor's Note: Why should there be a debate on criminally indicting? There have been many indictments with just fractions of the evidence that has been presented over the past few years. Folks, this is not a debate of legalities, it is a debate over who is really in control and how much control do they, in control, really have. Finally, these last two links for today. Both worthy of a read. Harte Doesn't Expect Criminal Charges on Goldman Sachs..a short video report. What are your thoughts of this week's latest buzz about Goldman..."The Subpoena"?